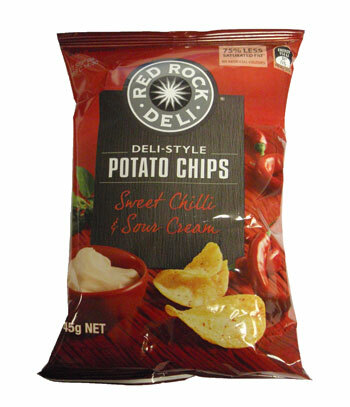 Blending a subtle kick of chillies and paprika with the smooth tanginess of sour cream. Roughly cut and seasoned with delicious ingredients using inspiring recipes prepared by passionate foodies, for a truly unique taste sensation; Natural flavours. Natural colours. No added MSG. Where do I begin? The delicious taste will make your taste buds jump all around and have parties in you mouth it will make your hand grab for more. The taste of the sweet chilli mixed with sour cream will amaze you in every way. Its shocking to see the two flavors buddy up into one mouth watering chip!